Teeth-gnashing, I silently curse at the dirty bathroom sink and the toothpaste all over the place. The mirror is not looking any better with those flossing home runs surrounding the tired face that is looking back at me. And that fuzzy hair of mine! Recently, I found myself licking the bottom of a bowl of frosting I had made and eat up. I’m positive that I will not become the mother of the year … ever. And yet, I still want it all. All now and all perfect. The perfectionist in me just cannot keep her big mouth shut. Even after bringing on an anxiety disorder and panic attacks. But there is a secret weapon we all carry with us. Sometimes we don’t even know. In busy everyday mom life, I sometimes forget how blessed I am. I literally have everything. I’m one of the privileged people in this world who can read, write, and even own a computer to browse the web. I take a shower with fresh hot drinking water and I do eat a lot of cake frosting. Am I grateful enough for all of this and so much more? Am I grateful at all?! Why is it so hard sometimes to have a grateful heart and give thanks? If you want to become happy you need to become grateful they say. By not being grateful we set ourselves up for being miserable. So if gratitude does not come naturally it is a good idea to cultivate it and be more intentional about giving thanks. Maybe it’s time to learn a bit more about gratitude. First, gratitude is a choice. Choose to be grateful! It starts with you. Set yourself up for more happiness by choosing to be grateful each day. It does not just happen. It is your choice. Second, you need to develop a gratitude attitude. You don’t know how? Learn how to develop an attitude of gratitude in this post at the Huffington Post. And then, gratitude has to be practiced. Make giving thanks a daily habit. You will be so much happier and even-tempered a few months down the road if you are more thankful. Studies have shown that even the 2-Minute-Routine of jotting down 3 things to be grateful for each day will make you a happier person! 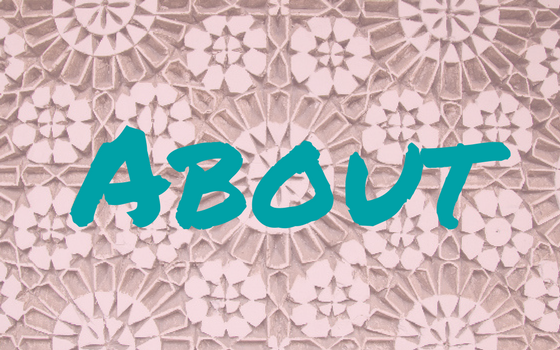 If this isn’t enough for you to know, go ahead and dig deeper into the many benefits of gratitude in this epic post of Happier Human. You are now well-informed about gratitude. But that was just step # one. If you want to be happier and balanced you need to take action and become more thankful. Don’t worry, it is not required to invest a lot of time or effort. Maybe take a moment right when you get out of bed or before sleep? Let ready-to-use gratitude prompts help you if you feel uninspired. All you need is one quiet minute in your day and a gratitude journal. Or a piece of paper. Or an app like Evernote. Read how you can get the most out of Evernote’s free plan and organize your entire mom life. 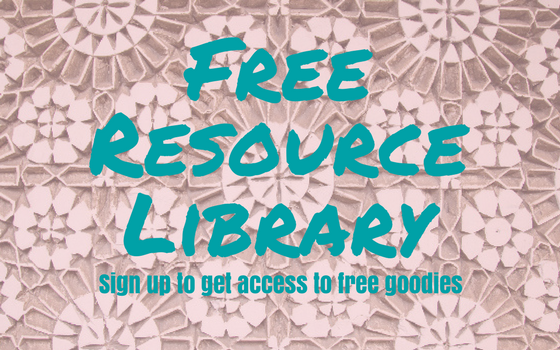 Or grab the free Evernote for Moms Guide in the Freebie Library for Subscribers. Click here to subscribe. Now let’s make sure we plant a thankfulness seed that grows extra strong and will give you a lasting attitude of gratitude. 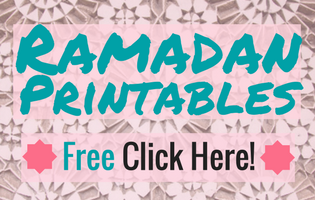 Download the free Gratitude Poster here! You’ll also find a 30-Day Journal Page you can use for this challenge! With the free gratitude workbook or poster, you will have a gratitude journal prompt each day for the next thirty days. 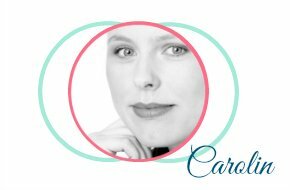 You can use your bullet journal, the free gratitude tracker for Evernote (see above), or print out the free gratitude journal that I share. Take a quiet moment each day. Think about the gratitude question for that day and note down what comes to your mind. 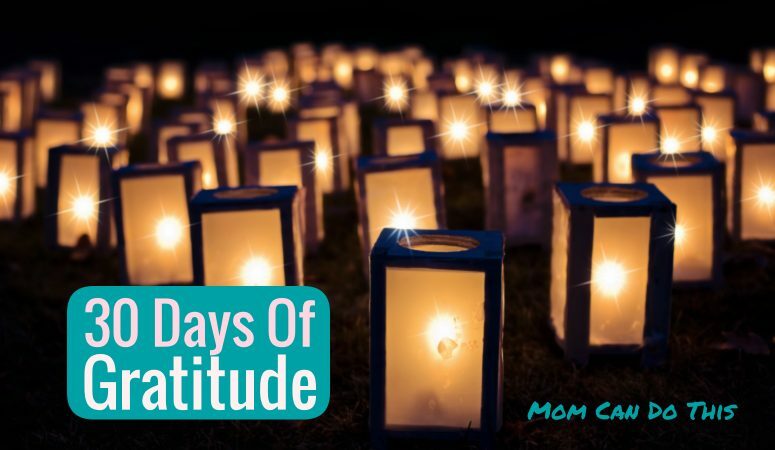 Use the 30 days of gratitude challenge as a primer for a more grateful life. Create a personal gratitude journal and make the gratitude spirit last by giving thanks every day. Once the 30 days are over, make it a habit to write down three things to be grateful for each day. They can be big or small. This is up to you! 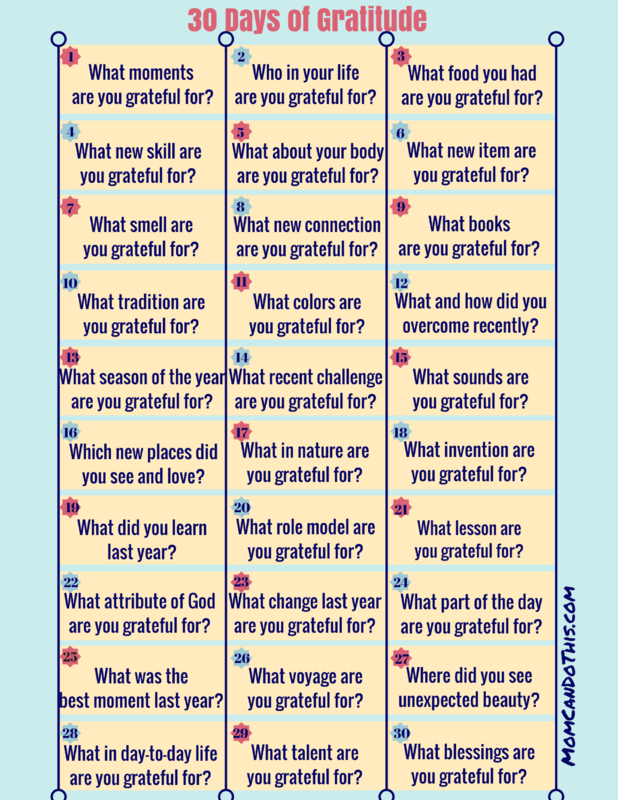 If you get stuck or you feel like you come up with the same three things every day go back to the gratitude prompts of the 30 Days of Gratitude Challenge. Get your 30 Days of Gratitude Poster along with the matching Gratitude Workbook for free here. Download instantly without signing up! It is time to wrap up the past and embrace the future! Look back with gratitude and have a happier time. Let’s use the next 30 days for an intentional gratitude challenge and become a little more grateful in this busy world. Great reminder that we need to CHOOSE to be grateful, develop the ATTITUDE, and PRACTICE it. We may not have all we want, but we have what we NEED. Most of the times, we take for granted the things that we do have and the people we have in our lives. The poster and the workbook look lovely. Yes, many things in life are more of a choice than we are aware of. In the last couple of years I have become much happier because I chose joy. Once you do, you see so many little things to enjoy instead of all those things to complain about. Thank your for this post. Gratitude is so important in life. It is easy to just take for granted the one and only life we have known. But compared to the world, we have so much… almost too much. There are still people in the US who do not have clean running water. I love that you have put together this challenge! I’m in. 🙂 I used to keep a gratitude journal in my bullet journal, but I like the idea of prompts. Thank you for sharing. It’s a great idea to have a gratitude journal right in your bullet journal. I have a gratitude section in my “Conquer Your Year” planner. But to be honest, I sometimes just skip that part. Now, I have resolved to give thanks every day.